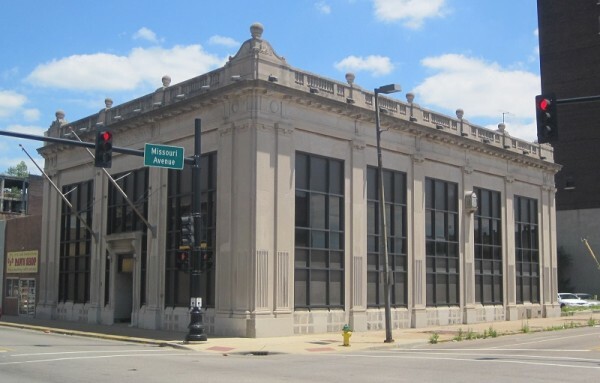 The historic Union Trust Company Bank Building in East St. Louis. The City of East St. Louis hired PRO to list the neoclassical bank that graces the intersection of Missouri and Collinsville avenues, in hopes to attract a developer. 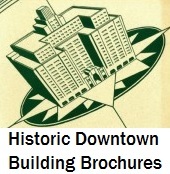 Eventually, the City initiated a larger historic district, and the Union Trust Company Bank Building is a contributing resource to the Downtown East St. Louis Historic District. The Union Trust Company Bank Building was designed by architect Thomas Imbs for banker August Schlafly and completed between 1922 and 1926. The building is an excellent example of early 20th century Classical Revival style bank design and is the last of its kind in East St. Louis. This style, associated with permanence and trust, took hold in the late 19th century as bankers sought to regain public confidence after the Panic of 1893. Thirty years later, these associations were magnified in tumultuous East St. Louis where public morality was at an all-time low after its most recent series of political and social disasters. 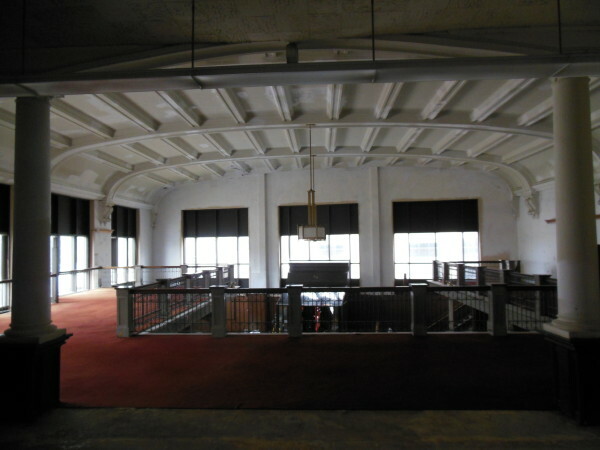 The Union Trust Company Bank Building embodied Schlafly’s recent role as civic leader and signaled the city’s economic recovery by spurring badly-needed investment downtown. The soaring coffered, vaulted ceiling ocrowns the two-story central banking hall. The National Park Service highlights one nomination per week, and the Union Trust Company Bank Building nomination, written by former PRO Architectural Historian Lindsey Derrington, received the distinction at listing.